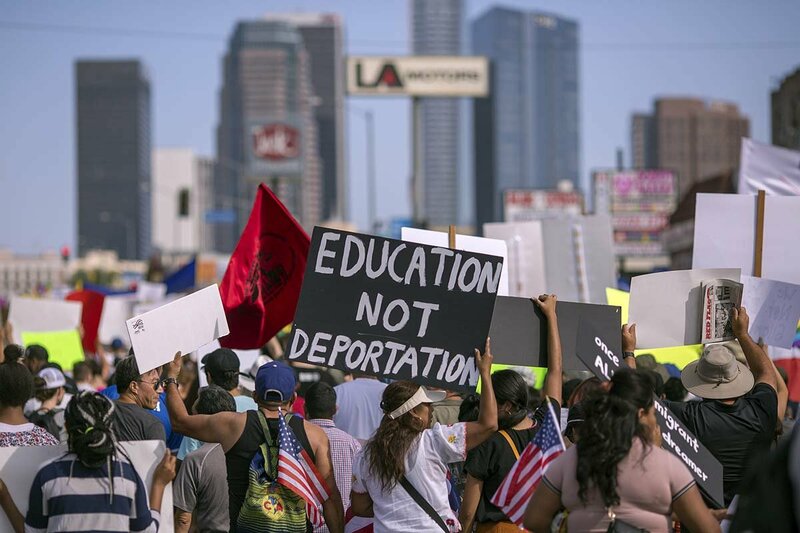 DACA recipients face an uncertain future. Academic medicine must ensure that the doors to medical schools and teaching hospitals remain open for these students and residents. On March 16, I joined my AAMC colleagues and medical students, faculty, and administrators around the country in celebrating Match Day—the exciting day when a physician learns where he or she will be completing residency training. This year, 94% of U.S. MDs matched to residency positions in the initial process (a rate that has been relatively constant over the last 30 years). After that initial process, the remaining students participated in the supplemental matching process, for which we are awaiting final results. Among the thousands of trainees who make up this group were a small number of medical students with Deferred Action for Childhood Arrivals, or DACA, status. Like their peers, medical students with DACA status worked hard during medical school to achieve their goal of continuing on to residency training in their chosen specialties. But for medical students and graduates with DACA status, the joy of Match Day was tempered by the ongoing uncertainty about their legal status. The announcement made Sept. 5, 2017, that the DACA program would end on March 5 put the futures of all DACA recipients in doubt. In January, a federal judge ordered the government to resume processing DACA renewal applications. The legality of President Trump’s rescission of the DACA program is now under review by appellate courts. The AAMC has joined with other health organizations to urge Congress to pass a permanent legislative solution that would provide certainty around the legal status of DACA recipients and allow those in the health care workforce to remain in the United States to continue their employment, education, training, and research. Without congressional action to preserve the program, recipients are at risk for deportation and could lose the authorization to work. Why is it so important to allow DACA recipients to receive education and training at U.S. medical schools and teaching hospitals? One reason is that the United States faces a shortage of up to 104,900 physicians by 2030, and vulnerable populations will be hit the hardest by this shortage. Many DACA recipients are bilingual and understand the unique barriers to access and health challenges that immigrants face. As a result, they are more likely than other physicians to practice in underserved communities and can play an important role in bridging the gaps in quality and access. Moreover, as members of diverse teams, DACA recipients bring unique perspectives to solving our most pressing challenges in health care today. And by contributing to diverse medical school classes, DACA recipients help create educational environments that prepare our entire workforce to provide culturally competent care. Another reason is that foreign-born physicians make tremendous contributions to the U.S. health care system. More than one in four physicians practicing in the United States was born in another country. Besides DACA recipients, physicians and scientists from other countries, including those named in the three immigration executive orders last year, are critical to our nation’s health care delivery and biomedical research. They care for vulnerable populations, respond to large-scale public health threats—from violent attacks to natural disasters—and help us contain infectious diseases like Ebola. They also facilitate cross-border collaboration in medical research and in addressing global health threats. For these reasons, I am worried by the 22.7% drop in applicants in this year’s Match from countries named in last year’s three immigration executive actions. Losing these physicians could mean that underserved communities go without needed doctors and that the most vulnerable patients face greater difficulty accessing care when they need it. I also fear that raising barriers to immigration and creating confusion around the legal status of those who are here could deter talented future physicians who might otherwise wish to practice in the United States. Despite the uncertainty, a number of AAMC member institutions have opened their doors to DACA recipients and continue to admit and support students from the countries named in the immigration executive orders. Loyola University Chicago Stritch School of Medicine leads U.S. medical schools in both admission and support of medical students with DACA status. With DACA recipients ineligible for federal financial aid—a major barrier for many DACA recipients seeking to enter medical school—the university has partnered with two local organizations to ensure that students can finance their educations. As a result of Loyola’s active support, roughly one-third of the nearly 100 DACA recipients currently attending medical school do so at Loyola. I had the good fortune of meeting with several of them when I visited Loyola for commencement in May 2016. I was deeply impressed by their resilience, their commitment to careers in medicine, and their desire to serve in communities where physicians are needed most. The work being done at Loyola and other DACA-friendly institutions to promote diverse and inclusive medical school classes is important. But the legislative and legal issues around DACA and the proposed immigration bans must be resolved in order to facilitate the flow of physicians from medical school into residency and practice. As DACA recipients grapple with uncertain futures, all of us in academic medicine must make clear that their acceptance into medical schools and residency programs will improve our ability to care for diverse patients and communities. The DACA students who have already matriculated to medical school are only the beginning—many of the more than 680,000 DACA recipients are in the undergraduate stage of their educations or lower. In the coming years, I expect we will see many more potential medical students, residents, and researchers with bright futures affected by this uncertainty if it is not resolved. For the health of our nation, it is up to all of us in academic medicine to ensure that the doors of America’s medical schools and teaching hospitals remain open to DACA recipients and to future physicians and scientists from around the world.